Buy premium Line Marijuana Seeds From AMS. Are you ready for the ultimate innovation in marijuana cultivation? All our seeds are premium top quality seeds, but with our new "Premium line" we have taken marijuana cultivation to the next level. 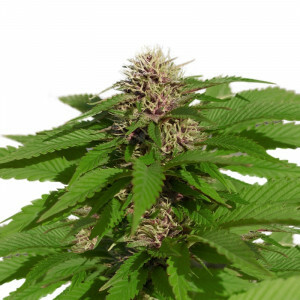 The breeders of AmsterdamMarijuanaSeeds.com selected the very best hybrids and refined them to perfection. Call it marijuana seeds 2.0 Enhanced performance in the form of faster germination, better growth, BIGGER buds, supreme taste and the ultimate high. F1 strains are a cross between two different strains. After growing +/- 200 F1 plants the breeder makes a selection of the best male and female plants. These selected female plants will be pollinated by the best F1 males. The result of this is an F2 plant, F2 plants have many different phenotypes, which means there are multiple strains in one plant. Let’s say you grow about 200 of these F2 plants and select a new mother, based on the exact features you desire, such as: color, appearance, height, root growth, flowering time etc. During this selection you will select a male which possesses equal qualities, which, after pollination, will result in the new F3 plant. The F3 seeds are more stable and this selection process can be continued even further. All of our new strains in our Premium line are F5 selections and can be considered the best of the best when it comes to marijuana genetics.